We all know the friend that was single for the longest time. It seemed the ideal man in her head just wasn’t materialising. And then she was caught by surprise. The man she now gladly wakes up with every morning meets very few of the requirements from her original list. I bet you thought she was being too unrealistic. You probably sniggered about her requirements for her perfect match. But are you doing the same thing in your business? You know that great resource you are trying to find? You could be surrounded by them – you just need to take off your blinkers. It is time to change your approach to recruiting. To embrace the huge amount of potential you have previously ignored. Move away from the same old same old. It is time to welcome the talent looking to shift industries or move into a completely different functions. I know. It is easier to stick with the same. To look for candidates that have worked in the same function, in the same industry. Who come perfectly moulded and ready to go. Dipping your toe into the ‘he’s good but he doesn’t have the relevant experience’ pool can be a little daunting. Sure, it may take a little longer for him to be knocking it out of the park. But you are forgetting the insights, the wider knowledge, the outsider’s view that could freshen up the way you work. And the fact that he has all the fundamental skills even if they have not have been applied in exactly the same way. The Marketing Manager who has always worked for high tech companies but wants to move to a non-profit organisation. The mortgage advisor who has been studying every night to retrain as a software developer. The guy who has cut his teeth in corporate multinational land but craves being part of an agile young startup. The Finance Director who needs something different to work better with her new family. How many of your friends are not happy in their current jobs? Smart people who just want something different, something that gives them a buzz. If you do have friends like this, you will also have had conversations about how hard it is to jump industry or to change careers. That despite their years of experience and success in their current field, no one will take the risk on them. They can’t even get to the interview stage. Firstly, this suggests there are companies that see the value of the ‘outsider’ (Your competitors may already be snapping up this talent). Secondly, a third of the limited resource pool you are trying to attract may have decided to move onto something new anyway. So it is time to really look at those transferable skills and experiences that career changers and industry switchers can bring. Besides industries are being turned on their head. Look at Uber or AirBnB. The benefit of having people that don’t necessarily do things as they have always been done could help you thrive in this changing world. Things that have always worked for you may not work in the future. Fresh eyes, with diverse experience, could give you innovative ideas from outside your industry or function that you might not have considered. Take a look at your job advert. I mean really look. Especially at the ‘Required Experience’ section. If your requirements are too specific, you will be looking at the same pool of people that you have probably seen already. Whilst researching this post, I came across one job description for a General Manager. The ‘Essential Requirements’ section was made up of 20 bullet points. Three of those were related to personal qualities (all good) but the other seventeen were around previous experience. Seventeen! Now, don’t get me wrong, this role did require some technical experience so you can’t eliminate them all. But seventeen! Imagine you have a room full of 100 candidates and you start reading out that list of essential criteria. As you go down the list, people that couldn’t satisfy that requirement had to leave. Five people leave because they couldn’t claim experience ‘in all aspects of budget writing, P&L control, invoice processing, analysis and reporting’. That’s a shame, they have great attention to detail and their analytical mind probably meant they would have picked it up in no time. How many people do you think you will have left once you have gone through that list of seventeen? And do you truly believe that, if there are people still standing, they are your best people? You may be looking at this and thinking, well of course we don’t expect everything. But if your shortlisting focuses on experience rather than skills and values, you may be missing the best ones. And there’s a whole lot of talented and very capable people who will be put off applying in the first place. 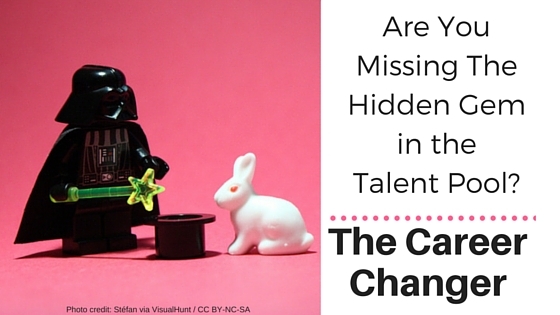 Ready to widen that talent pool? Here are the next steps to attract and hire the best talent out there. Identify the five key behavioural traits you want someone to have for this role. Think about how someone could demonstrate that they have these. Think about the five things that you need the successful candidate to do in this role in the first year. What skills will they need to complete those successfully? Add the five behavioural traits and skills to your job description. Look at the relevant experience you have requested. Go through and see which of those you REALLY need and strip out the ones you don’t. For those that are left ask why you need that experience. Is it really experience you are looking for, or could a certain skill meet this requirement? Is a degree or further education critical for the role, or is work experience enough? You know the five behavioural traits you are looking for and the five skills they will need to be successful in the first year. Plan out your interview questions to assess against these. And there would be additional things I would look for during interview. Changing careers or switching industries is harder than staying with what you know. So I would dig a little deeper there. I would want to see that they are agile, adaptable. That they recognise the challenge that this will be. Perhaps a little humble, knowing that that they will not know it all on day one. I would want them to talk me through other scenarios where they have learnt fast. I would want evidence that they had researched the industry or new role well and could convince me why they wanted to join. It takes guts to recruit from outside what you know. And undoubtedly it is a bit of a risk. But my ‘riskier’ hires have probably been some of my most successful. The mature student who applied for the graduate scheme. The financial advisor who had studied in his spare time to retrain in IT. And I think it is because what they did shows guts and commitment. Two great qualities that are already proven because they are sitting in front of you at interview. There are times when really specific experience is essential. If it is a hands on role and you need someone to make an immediate impact for example. However, if you are looking long term and want to bring in fresh new talent into your organisation, outside experience could be just what you need. Oh, and don’t forget to have a look within your own four walls. If the research is right, one third of your own staff could be dreaming of something different. Search out the ones that are the looking for a career change – your Operations Manager who would love to be in Marketing or the Admin Assistant who wants to get into Sales. If you can find a way to facilitate this then you also get to hold onto the talent you already have. Wondering how you would get a career changer or industry switcher up to speed quickly in your organisation? Next week’s blog post will guide you through it.